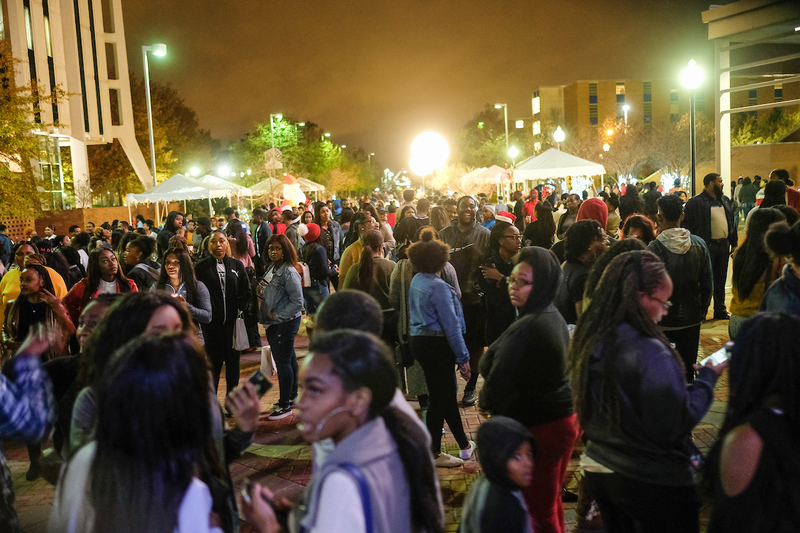 JSU hosted its annual Holidays Under the Stars on Thursday on the Gibbs-Green Memorial Plaza, where a huge crowd gathered to hear performances and witness the joy on the faces of Blackburn Middle School students who received amazing gifts as part of JSU’s Angel Tree. 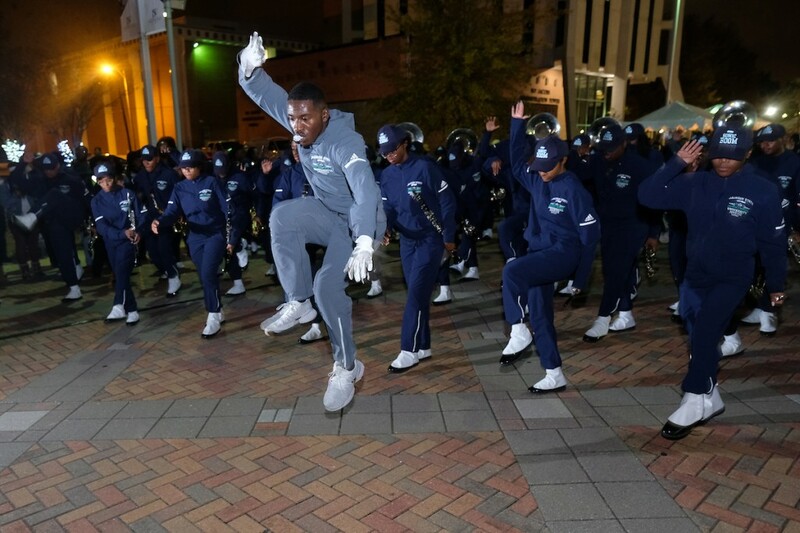 The crowd was entertained by the JSU Dance Ensemble, JSU Mass Choir, MADDRAMA Performance Troupe and the Sonic Boom. The event was emceed by Dwain Doty, news director of WJSU-FM; and Dr. Rosella Houston, assistant director of Institutional Research, Planning and Assessment and president of the Staff Senate. 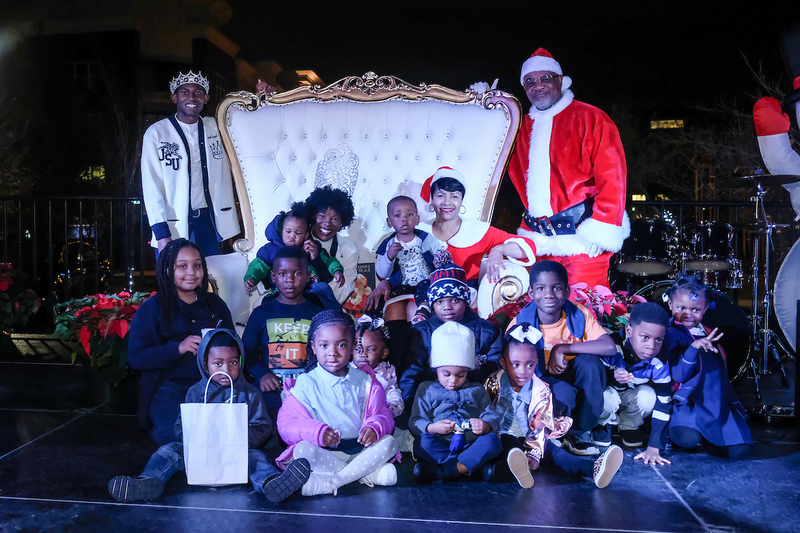 The Angel Tree Project was started several years ago by Tiffany Dockins in the Division of General Counsel and eventually became part of Holidays Under the Stars. Today, dozens of campus units participate by adopting a child. 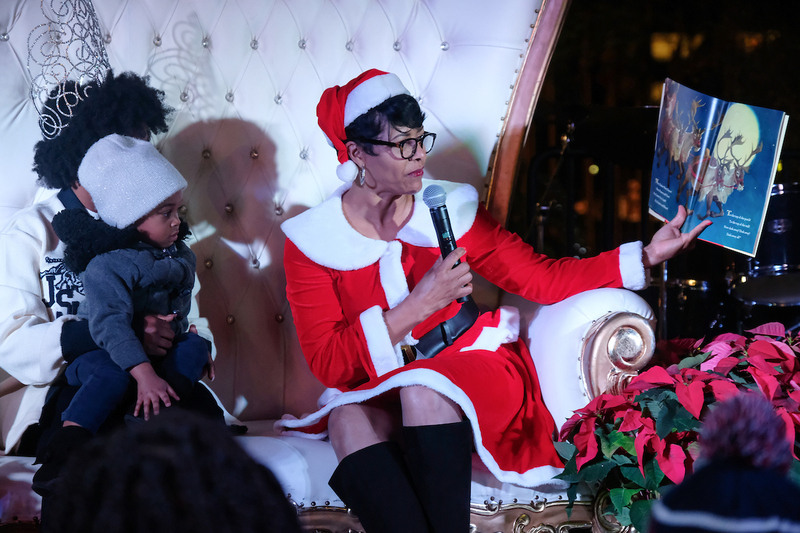 Of course, the biggest highlights of Holidays Under the Stars were Christmas storytelling and photos with Mr. and Mrs. Claus portrayed by JSU President William B. Bynum Jr. and first lady Deborah Bynum. 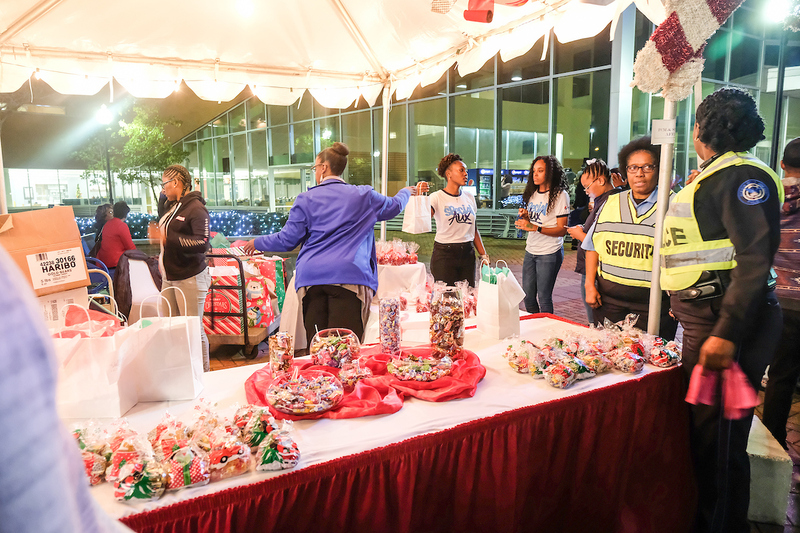 Mrs. Claus described the annual event as “spectacular” and a great opportunity for JSU to engage with the public. 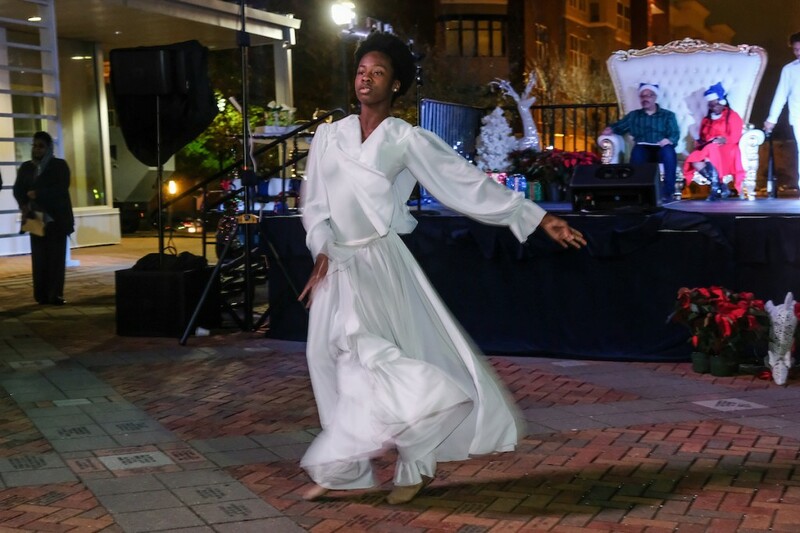 Deborah Bynum is wishing everyone a peaceful holiday of unity. 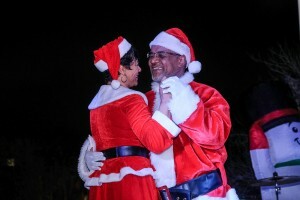 Salisha Jordan, the mother of Adonis, called Holidays Under the Stars “a very special occasion. I’m enjoying myself. It’s a nice and sweet occasion for the students at JSU and the community.” Jordan said she’s looking forward to traveling to Atlanta and to the mountains of North Carolina to spend time with family. She’s urging everyone to “be safe and practice good judgment.” Although she describes herself as a great cook who can “throw down in the kitchen pretty good,” she said she’ll take a break from that role this year. 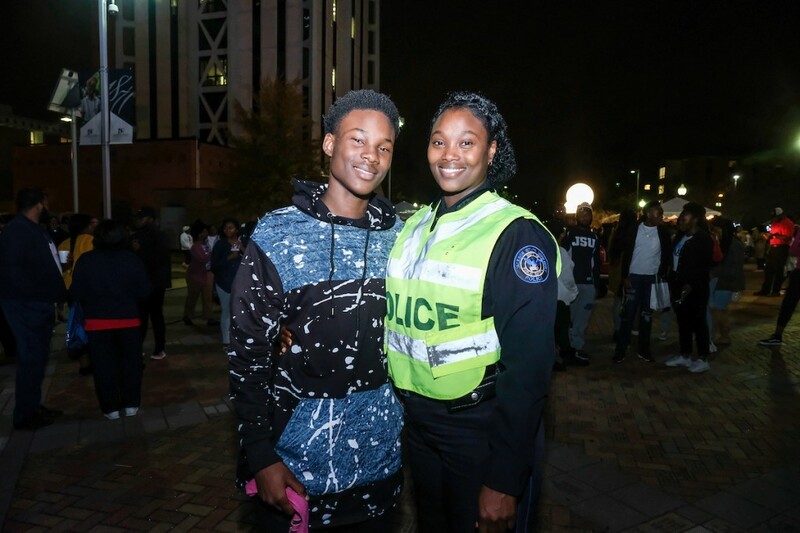 Miss JSU Gabrielle Baker said her desire is “for the overall Jackson State community to be safe during this holiday season and have peace and joy.” During the winter break, she plans to work during this holiday season to have extra money to buy gifts for her family. 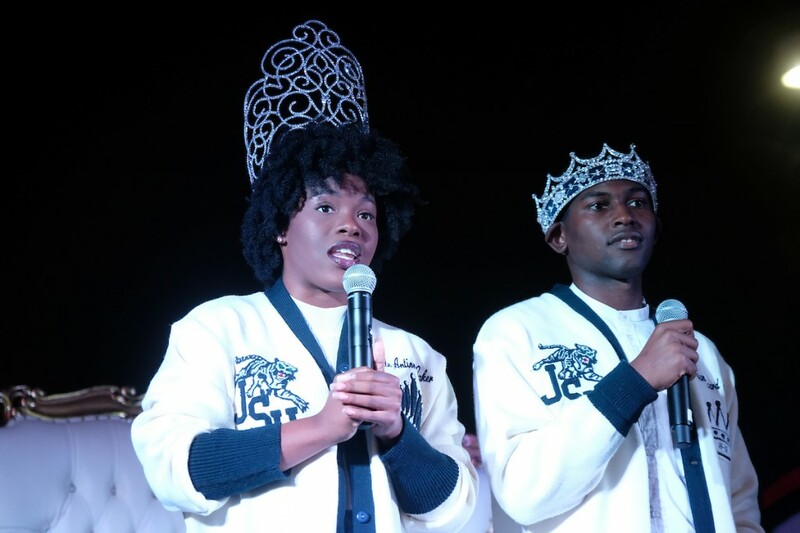 Mister JSU Darrian Jackson said, “My wish is for Jackson State University to expand more into the community because it will help us grow as an institution.” He said he plans to spend holiday time with his family and take plenty of photos. Larry Goodwin of Madison is a JSU alum and huge supporter of the HBCU. He’s been to every Holidays Under the Stars. 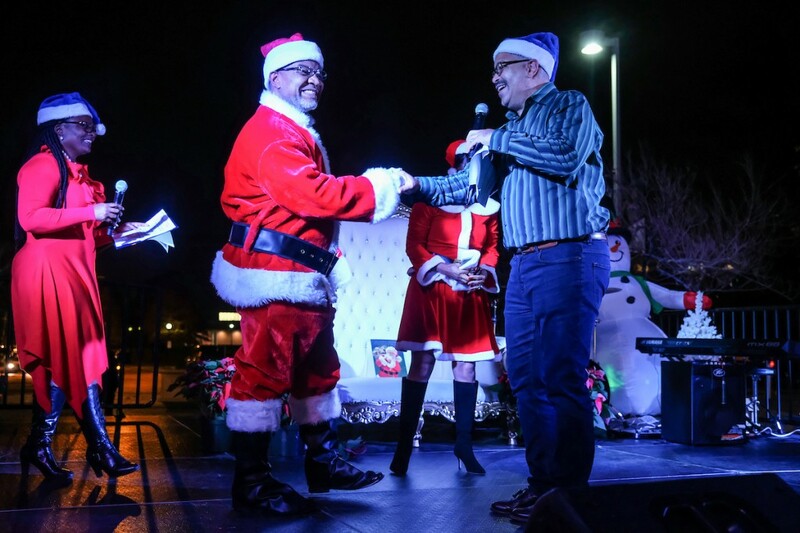 “This event is great for the holiday season. The crowd is getting larger each year,” he said. 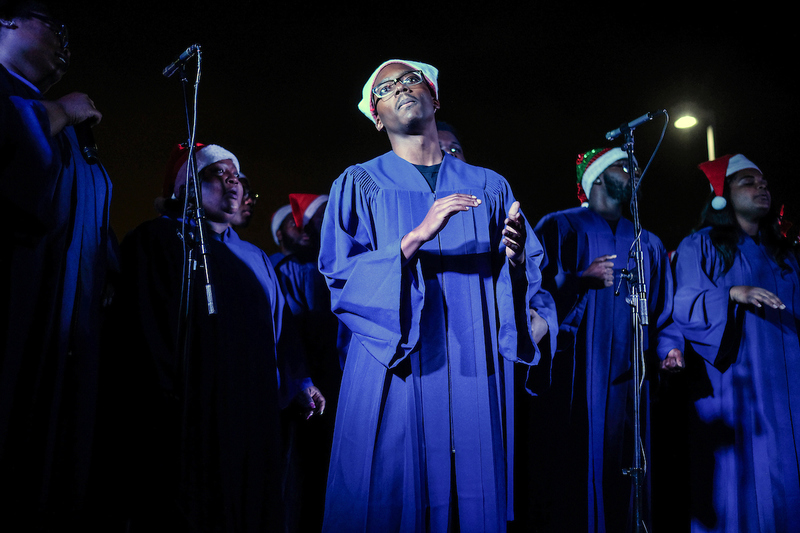 His holiday wish is for “peace on earth.” Goodwin’s plan for the holiday is to attend church and serve dinner to the less fortunate. “My message is for everyone to love one another,” he said. For more photos, view HUTS.